The Kings of Wishful Thinking will lead an awesome line up of 80s artists touring together in a show loaded with enough hits to satisfy even the most radical party goers. 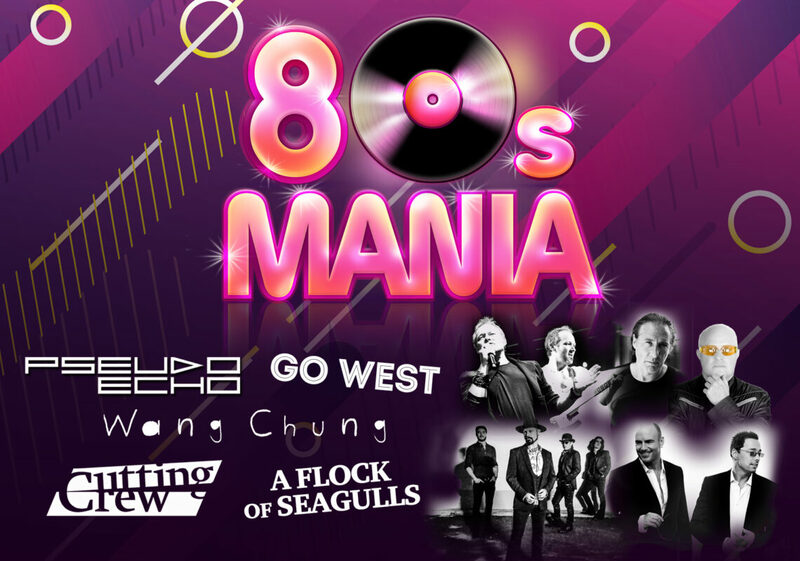 Joining Go West will be Pseudo Echo, A Flock of Seagulls, The Cutting Crew and Wang Chung in what promises to be the 80s night of the year. Party the night away to hits including ‘I Just Died In Your Arms Tonight’, ‘We Close Our Eyes’, ‘Funky Town’, ‘I Ran’ and ‘Everybody Have Fun Tonight’. Spike your hair, find your leg warmers, parachute pants and be ready to rock out to the biggest hits by some of the most popular artists of the 80s.